Systems Training Center Hawthorne is South Bay’s primary martial arts school. Systems Training Center Hawthorne serves the local community of Hawthorne, Lawndale, Manhattan Beach, Redondo Beach, Hermosa Beach, El Segundo and Torrance. Our Hawthorne location offer classes in BJJ (Brazilian Jiu Jitsu), Kickboxing/Muay Thai, boxing, CrossFit, HIIT Fit (High Intensive Interval Training), Krav Maga (self defense) and yoga. Systems Training Center Hawthorne is our first and largest location with several classes every single day, 7 days a week! Marcus Kowal is a professional kickboxer, MMA fighter and boxer. He is also a 2nd degree black belt in Krav Maga, teaching self defense to civilians, military and law enforcements. He is also a CrossFit instructor. 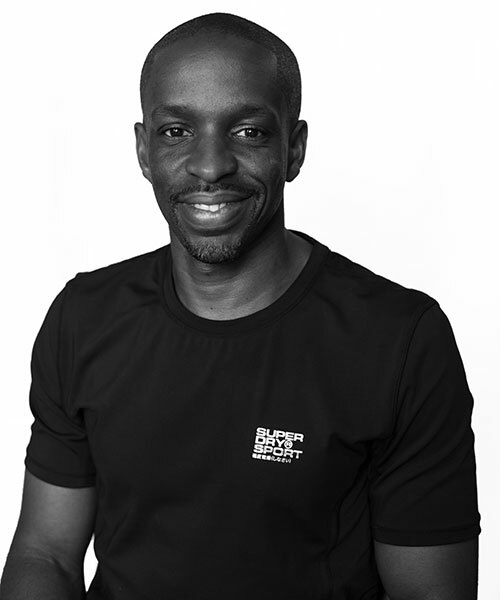 Marcus has over 20 years in the fitness and martial arts industry. He was also in the Swedish special forces (Rangers) before moving to the US. 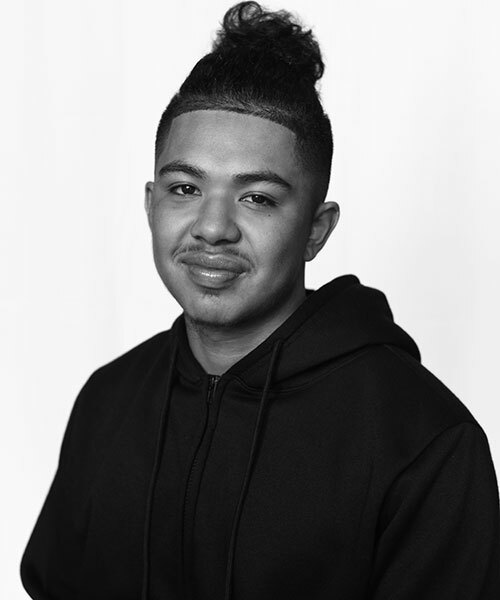 On top of teaching classes in the previously mentioned styles of martial arts, Marcus teaches private classes, focusing on self defense, weight loss, fighting and mental strength. 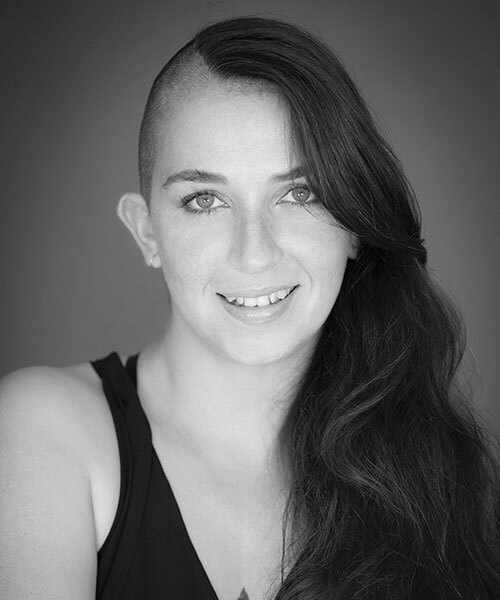 With a ballet background, Mishel became passionate about yoga six years ago. She began teaching yoga in 2013 and quickly developed a mix of traditional yoga and mobility training from her formative dance years. 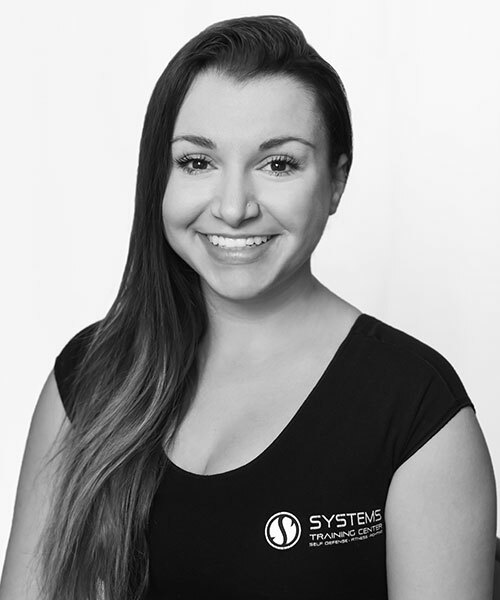 In 2014 she became Bag and Fitness Certified and began teaching high intensity interval training as well. In 2018, she earned her B.A. in Psychology and Business and became a certified nutritionist. A professional fighter since 2012 with over 18 years of combined martial arts experience. He is a two time MMA champion and a former Taekwondo champion. He holds a black belt in Tae Kwon Do, a Purple Belt in Brazilian Jiu-Jitsu under Pedro Munoz, and is a level 1 certified CrossFit coach. 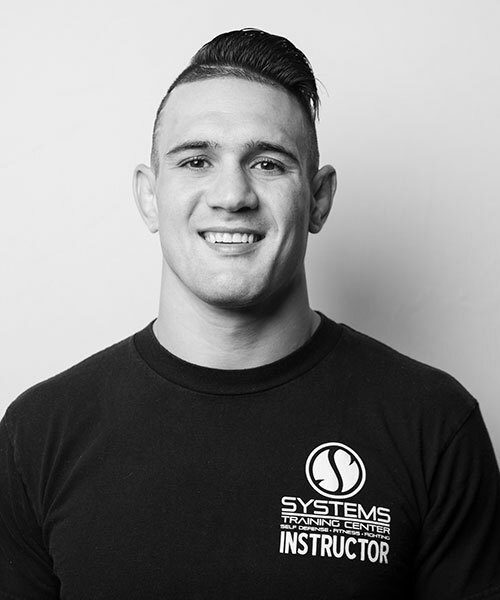 Coach Giagos is a multiple time champion in Mixed Martial Arts, Brazilian Jiu-Jitsu, and Wrestling. 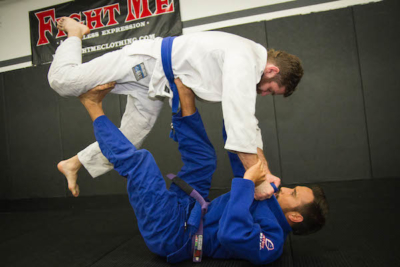 A purple belt in Brazilian Jiu-Jitsu and over 9 years of experience, he is currently competing as a professional in the UFC lightweight division. In addition to his competitive accomplishments, he is also certified as a level CrossFit coach. Fighting professionally since 2010, coach John has competed under the banner of MMA’s largest promotions. He’s also a purple belt in Brazilian Jiu-Jitsu having placed in many tournaments Including Gracie Nationals and North American Open. 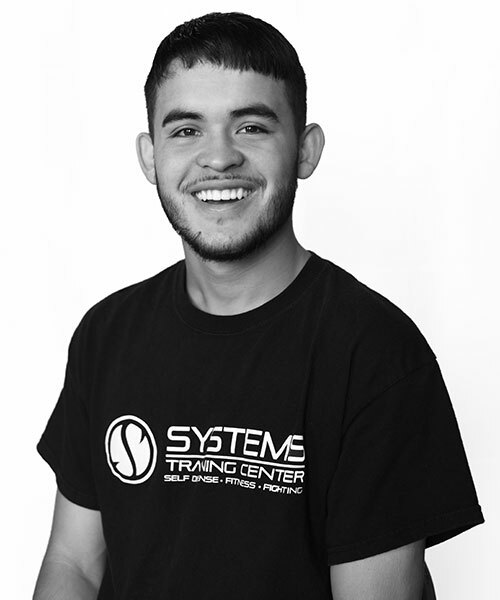 John is avid trainer specializing in boxing and conditioning. 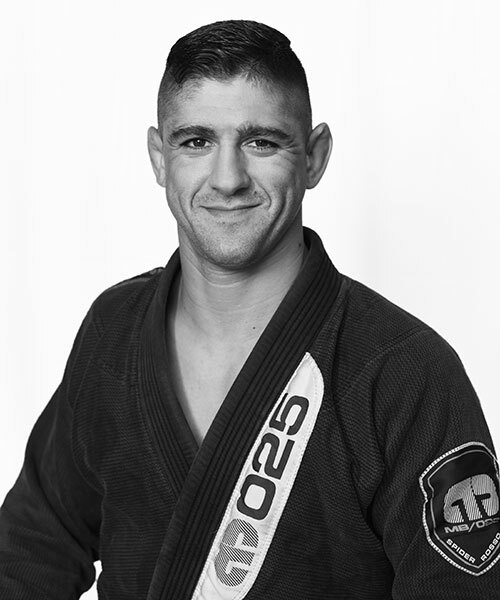 Junihno is a 4th degree black belt under Leo Viera and current Pan America BJJ champion. 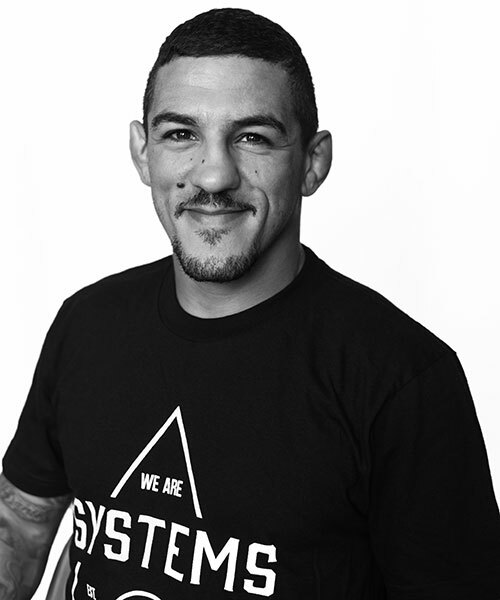 He’s trained with top level UFC athletes including Demian Maia, Sheymon Moraes, and McKenzie Dern. 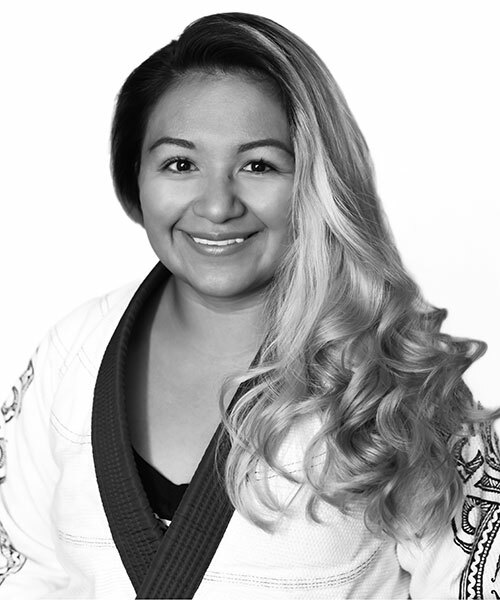 Cherry is an active competitor in BJJ and amatuer MMA with over 7 years of experience. She holds a purple belt in Brazilian Jiu Jitsu and is also a CrossFit/Weightlifting enthusiast and has a B.A. in Kinesiology. 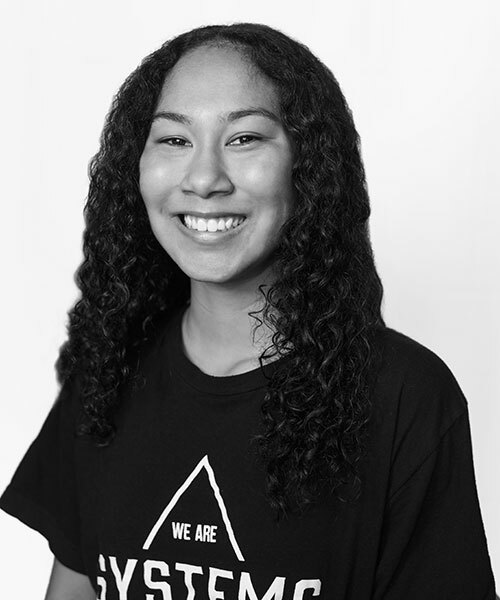 She heads up our kids program, actively manages the kids competition team, and instills confidence and discipline in the Systems kids. Angel is a purple belt and amateur fighter. While helping head up the kids program he also runs BJJ and kickboxing classes. A long with Angel’s martial arts credentials he is also Explosive Fitness and Performance Certified. Rodney is a marathon runner turned Olympic lifter. 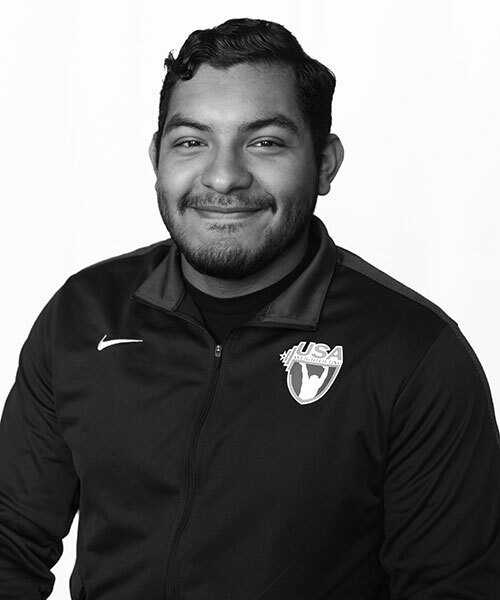 His long list of athletic experience includes GCU Ex-Collegiate, Triathlete, Marathoner, Cross Country Runner, Track & Field Runner. CrossFit Competitor, Olympic Lifter and Yoga Advocate. 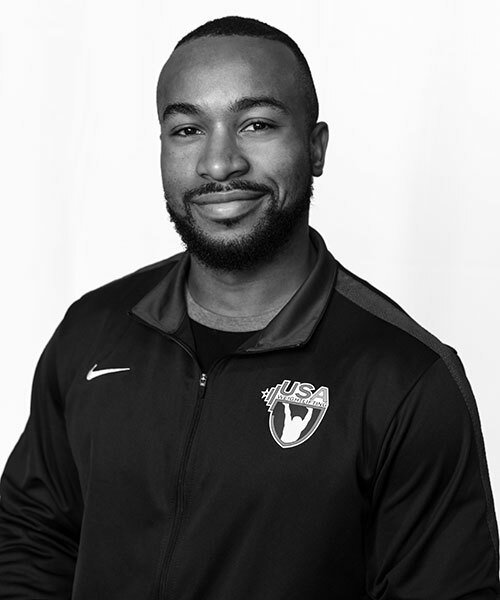 He’s certified in Exercise Science, USA Weightlifting Coach, Sports Performance Coach, CrossFit Level 1,, Kids USAW Coach, Student’s Run Los Angeles Coach, and he also coaches strength and conditioning at a local high school. 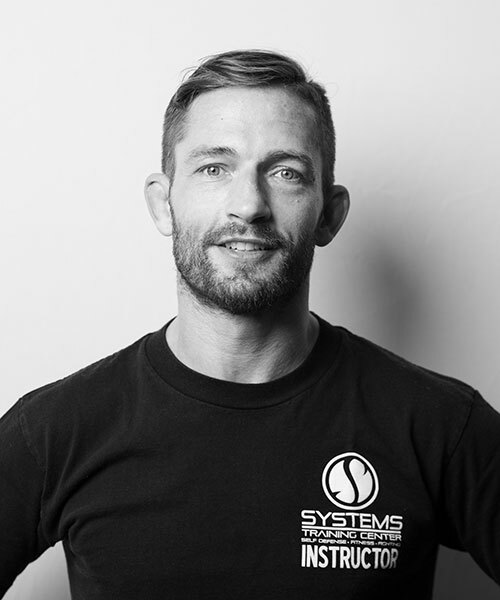 Vinny has over 20 years of experience teaching and fighting experience. He’s boxed and worked with some of the best coaches around the world including boxing in Mexico, Muay Thai in Thailand, and BJJ and MMA in Brazil, China and the US. Vinny also holds a black belt in Brazilian Jiu Jitsu and is currently signed with Bellator MMA. Coach Mark is a former NBA player and amatuer boxer. He had 20 amateur fights and coaches boxing classes and runs the striking program of the Systems fight team. Kirby is an artist, self-defense advocate, and veteran Krav Maga instructor. 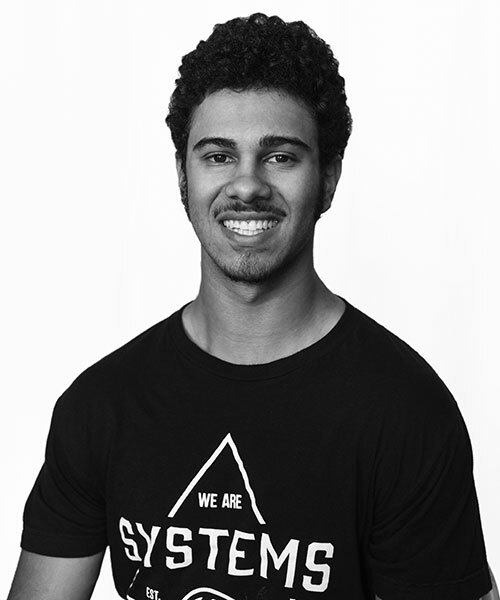 Riley has been training Krav Maga since the ripe age of five and he’s the youngest Krav Maga black belt in California. 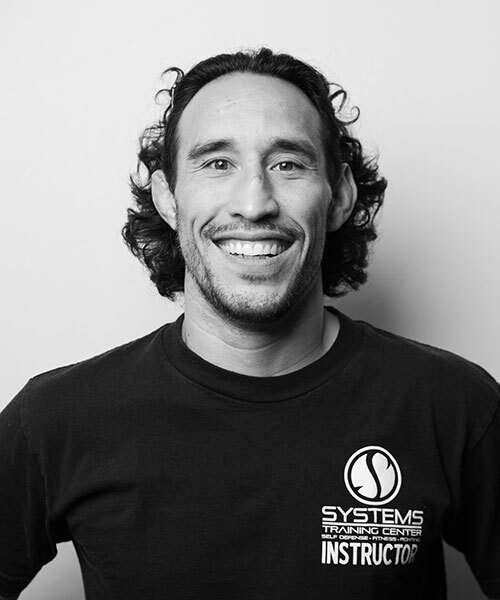 He started teaching Krav Maga at Systems in 2016. He’s currently active in kickboxing and MMA as well. 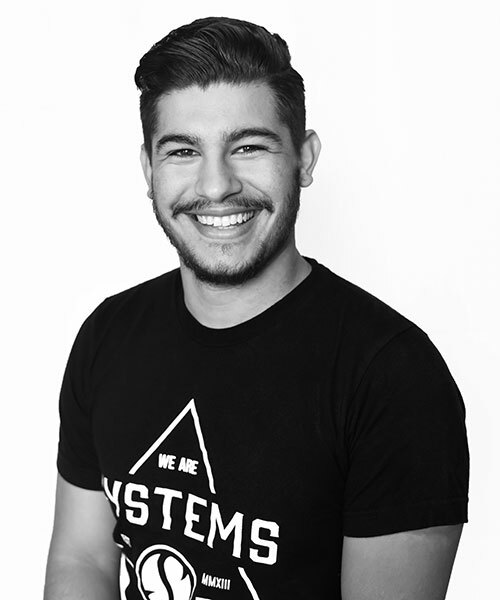 Anthony is an avid CrossFit and Olympic lifting competitor, having competed on the big stage in Vegas. 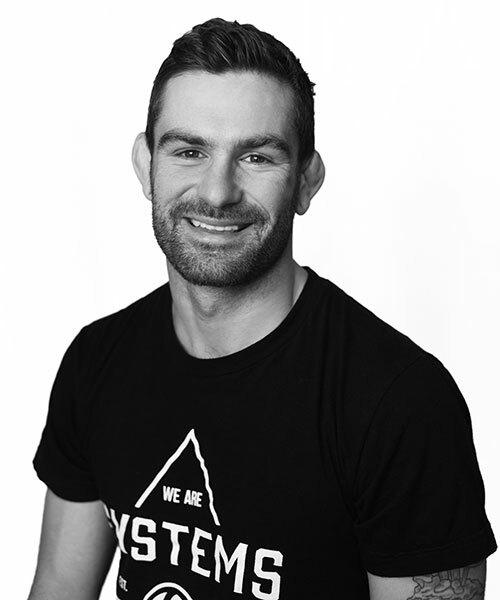 He brings his knowledge and experience as an assistant fitness and lifting coach. Assistant kickboxing coach and standout talent. 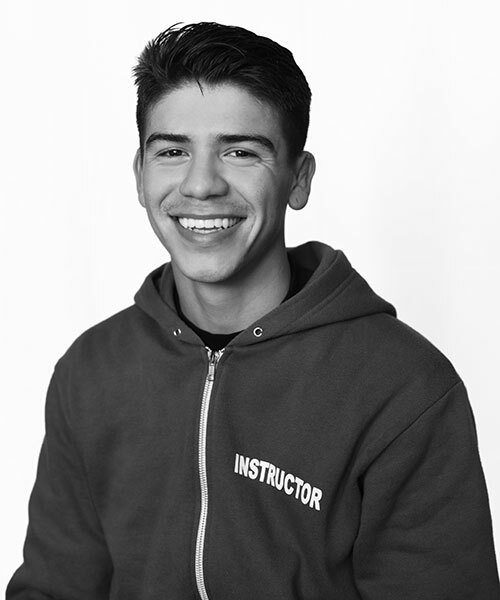 Danny has over 4 years of experience teaching and training kickboxing. Grappling class focused on developing the technique and athleticism for the sport/martial art of BJJ (Brazilian Jiu-Jitsu). The athlete will perform various drills to develop their positioning, submission skills, defense, and occasional takedowns. Heavy emphasis on close quarter partner work, drilling, and rolling (sparring). Often referred to as the gentle art, there are no strikes thrown. 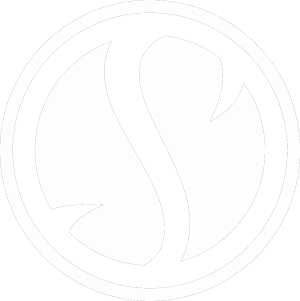 Gi BJJ incorporates the use of a Gi and allows the grabbing of the Gi for techniques while No-Gi just requires an athletic top and bottom and does not allow grabbing of any articles of clothing. 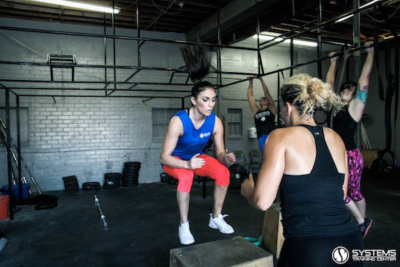 CrossFit is constantly varied functional movements performed at high intensity. All CrossFit workouts are based on functional movements and these movements reflect the best aspects of gymnastics, weightlifting, running, rowing and more core movements that are reflected in everyday life. Intensity is essential for results and is measurable as work divided by time—or power. The more work you do in less time, or the higher the power output, the more intense the effort. By employing a constantly varied approach to training, functional movements and intensity lead to dramatic gains in fitness. The class goes through regular programming cycles for a focused approach not only on a daily, but weekly, and monthly basis. Learn to become the most physically functional human you can be! HIIT classes, short for high-intensity interval training, are the bread and butter of the fitness program. Using various functional movements the instructor will run the class through a single or a few interval exercises and/or circuits. There is less focus on lifting, more focus on lightweight/ body weight movements, still challenging and effective. The classes offer something new and fresh every day with a broad range of movements, interval settings, and games to make the workouts incredibly engaging. This program also incorporates some of the non-contact kickboxing classes. Lose weight, get toned, and have fun doing it! A street practical self-defense system developed by the IDF (Israeli Defense Force) and often taught to police and military throughout the world, Krav Maga combines techniques from all effective martial arts. A martial art but not a sport, the focus here is how to defend yourself in real-life situations. Light fitness, punches, kicks, groin kicks, choke defenses, defending from multiple attackers and different angles are all incorporated. Partner work is required and on occasion more than one partner at a time. Classes follow a curriculum and incorporate a belting system with tests for higher ranks held a few times a year. For all children between the ages of 4-6. Lays early groundwork for working in a class environment, respecting the instructor, and learning some basic jiu-jitsu fundamentals. Instructors use a combination of games, exercises, and light technique drills to keep the children engaged.